At my “day job” (which hardly even counts as a day job, because it’s too much fun), I spend several hours each afternoon hanging out with elementary schoolers and teaching them how to use a sewing machine. It’s pretty rad. I love talking with them (they’re seriously goofy), and helping them figure out new skills. The best part is when they finish a project they are really proud of, and they go around, showing each other their awesome projects (I had a girl finish an owl-shaped backpack a month ago, and she’s so proud, she wears it to class each week). But usually, I manage to keep myself relatively injury-free. Sure, I poke myself with pins as much as the next person, but nothing bad, no scars or anything. I reached into a bag of fabric which I thought was pin-free. It was not. 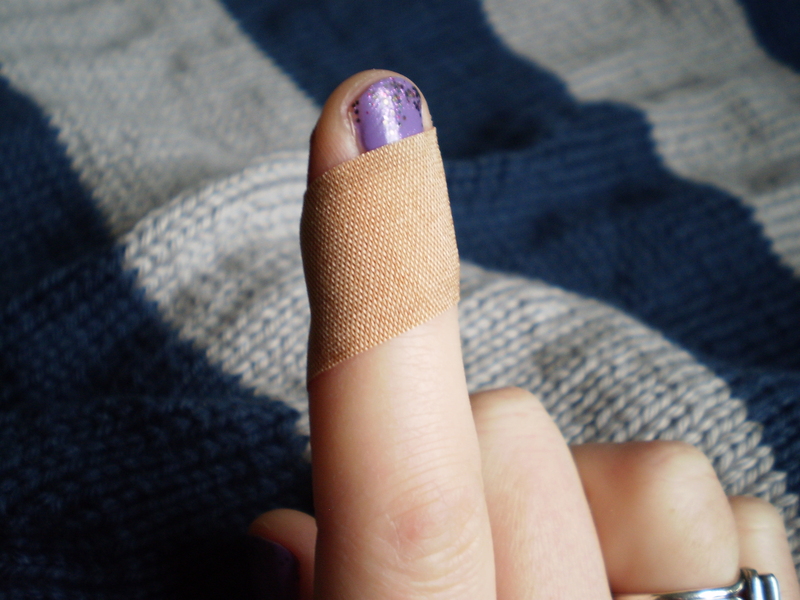 The pin sliced a 1-inch gouge on the side of my right index finger. There was blood. It freaked out the kids. I had to step up and be all “No big deal, kids. It totally doesn’t hurt or anything.” But, I really wanted to be swearing like a sailor. This cut is exactly where I wrap my yarn when I knit. (No!!) I had to forgo knitting for about a week, so I broke out a quilt that I started a while ago, and worked on that instead. It went well. I actually made quite a lot of progress on it. And, my finger was healing up nicely. What do you do when you can’t knit? This entry was posted in FYI and tagged cut, finger, Injury, knitting, needle, pain, pin, quilting, sewing on February 20, 2015 by onemilljellybeans. 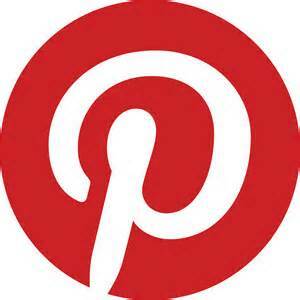 Do you Pin? (Is that even what you’re supposed to say?) I just started. I’m a pinning machine. Actually I have no idea what I’m doing. As part of my New Year’s resolution to get better at social media, I resurrected the Pinterest account that I signed up for back when I began this blog. I think I originally pinned about three things, and then forgot about it. Anyway, follow me on Pinterest, and I’ll follow you back. We can share projects and ideas and gape in awe at some of the crazy, cool things that people make. This entry was posted in About the Blog and tagged follow, follow me, media, pin, pinterest, social media on January 23, 2015 by onemilljellybeans. I love our new house, but it has one deficiency: no carpet. Which, I suppose, really isn’t a deficiency (I hate hate vacuuming), but as a knitter, it causes me problems. I have always blocked projects by laying towels out over the carpet, and then pinning my wet project on top. You can’t really do that with wood floors. 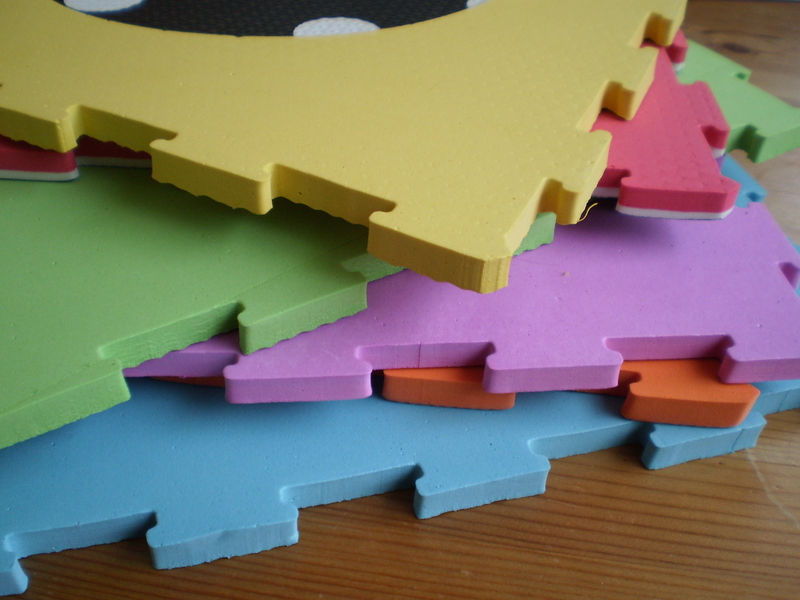 These foam puzzle pieces are meant to protect babies from dangerous floor bacteria (or something, I don’t really know). They’re about about 16 inches square and about a half inch thick, and they interlock. They are perfect for blocking. I lay them out on the floor, throw a towel on top and block away to my heart’s content. They run about 20 bucks for a set of 6, which gives you plenty of real estate for smaller projects like scarves, shawls, and probably even most sweaters. You can also find similar foam blocks in sporting goods stores (for doing yoga or weight lifting on), but I am a sucker for bright colors (like babies, apparently), so I went with these. 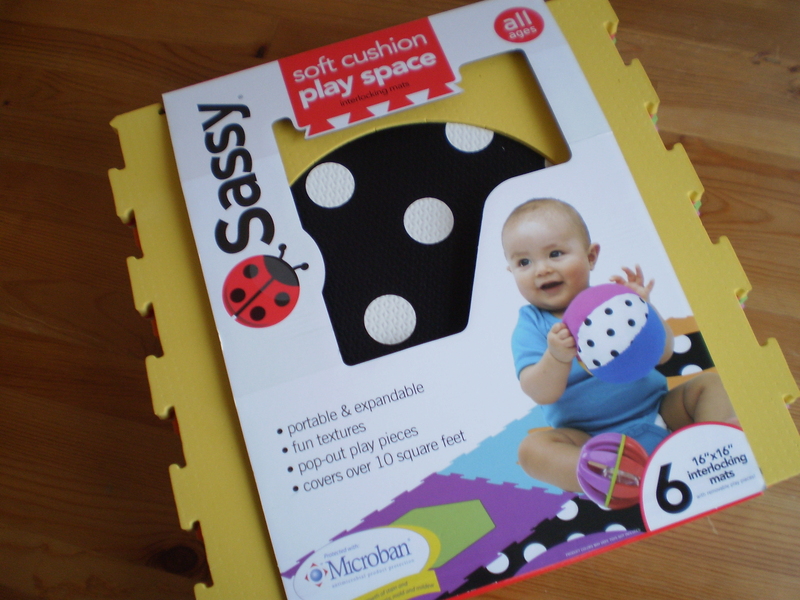 These work super well, so if you don’t have a floor you can pin into, I highly recommend you invest in a set or two. This entry was posted in FYI and tagged block, blocking, blocks, floor, foam, pin on January 3, 2014 by onemilljellybeans.